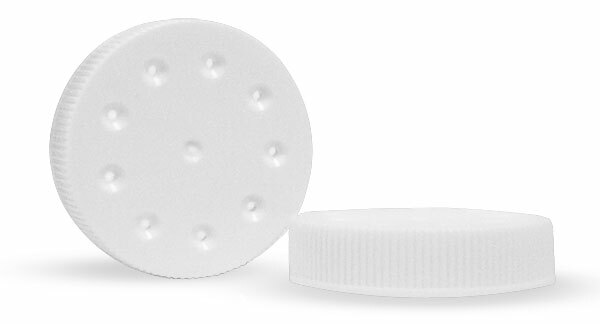 The white PE plastic sifter caps are designed to allow the shaking out of dry products, such as talcum powder. The plastic sifters twist open and close to release the dispensing holes and have a snap finish. Be sure to test sifter caps with containers and closures for proper compatibility. Match the sifter cap code with our selection of containers for proper compatibility.